The material has high insulating property, breakdown voltage up to 20 ~ 50KV / mm, the aluminium auxiliary cooling, so that the heater (heating film) to improve the thermal efficiency, and prolong its service life. 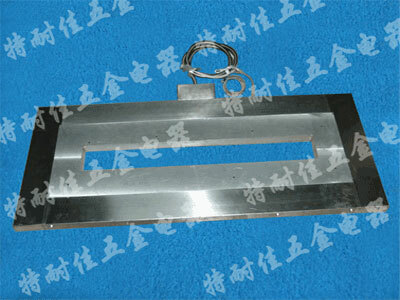 In addition, the heater has the characteristics of superior performance, convenient installation, simple debugging. Especially the moisture detector, mist detector, heating and dehumidification controller combination, can achieve all kinds of power equipment, moisture-proof, anti condensation heating automatic control function. All kinds of high and low voltage switchgear cabinet, ring net cabinet, terminal box, box type substation electrical equipment such as moisture-proof, anti condensation, the electric heating products to improve the electrical components of the ideal working environment temperature. Insulating materials (silicone rubber) temperature: -60 ℃ -+250 ℃.